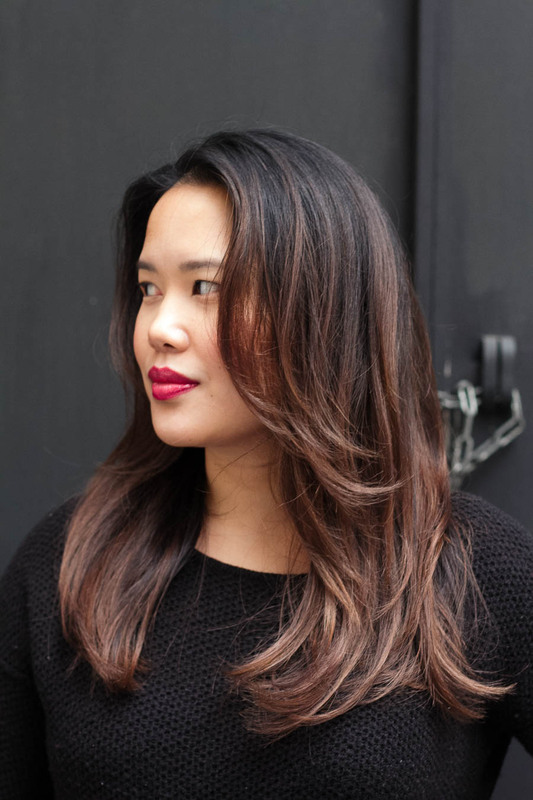 As you can tell we're big fans of color and our goal is to educate and empower our clients to choose the service that fits them, so we invite you to learn more about the balayage technique. If you like Kristine's balayage then you like to see a lot of color saturation at the bottom, so I recommend booking for a full highlight, 3/4 highlight, or an ombre like this client. After your initial service, you will only need a partial, mini plus, or mini express highlight to touch up your roots. If your hair gets too brassy or is feeling dry or dull, all you need is a toner or conditioning treatments. When in doubt, check with your stylists. If you have an questions about your service book a consultation or email us photos of your inspiration. The client pictured had a full highlight done four months ago by Mishi and came in to refresh her color with a toner, Olaplex, and Pro Fibre treatments.